Every year AIT awards amazing students who demonstrate their extraordinary work ethic and talent when applying to study with us. For the first time, we offer scholarships that are available for both new and existing students! There are a total of 12 scholarships awarded for 2019. 6 scholarships are available for Sydney students and 6 scholarships are available for Melbourne students. Commencing undergraduate students are invited to apply for an $8,000 scholarship off tuition fees for all Bachelor courses at AIT. Current undergraduate students are invited to apply for a Creative Minds scholarship providing you with 50% off your upcoming term tuition fee for all Bachelor courses at AIT. 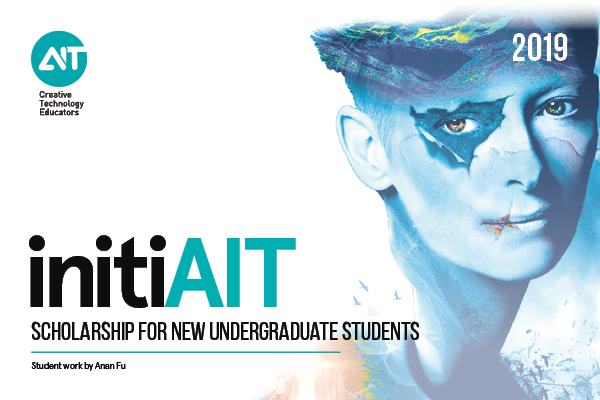 The initiAIT scholarship is for new undergraduate students commencing an AIT Bachelor Degree in the 2019 academic calendar. This scholarship is only available to domestic students. Recipients of this scholarship will be awarded an $8,000 discount off their tuition fees (50% applicable for the first term and 50% for the last term of the Bachelor Degree). We believe that creativity cannot be measured by academic results. Using a media of your choice (e.g. coding, programming, filmmaking, illustrating, animating, storyboarding, photography, creative writing, etc) you’ll solve the creative challenge for The Red's Random Replicator..
To those continuing AIT students who may not have been ready to make a scholarship submission when they started at AIT, we would also like to extend an opportunity to apply for the “Creative Minds” scholarship. 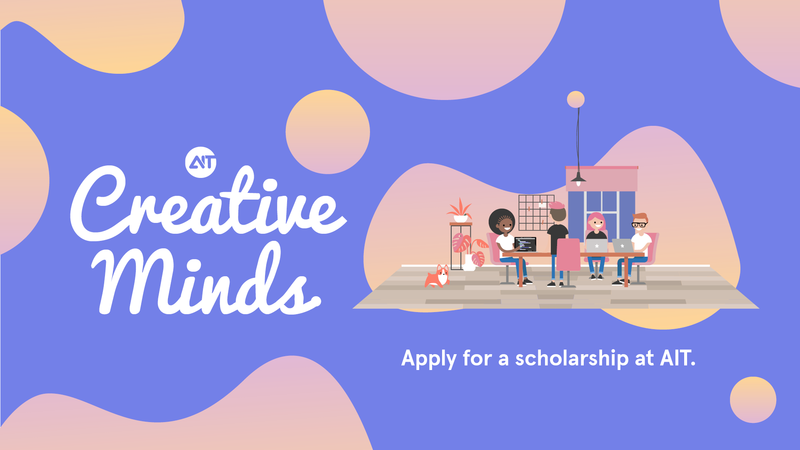 The Creative Minds scholarship is for current (existing) undergraduate students who commenced their Bachelor Degree in the 2016 academic year or earlier. This scholarship is available for both domestic and international students. Recipients of this scholarship will be granted a 50% discount off their upcoming term tuition fee.